Discover all that Downtown has to offer. There is always something new going on at the heart of the city. And M2 gives you many reasons to explore. DESTIHL® is a gastrobrewpub™ which creatively combines and reinvents craft beer and full-flavored dishes from America’s melting pot using many local ingredients and both modern and traditional techniques. 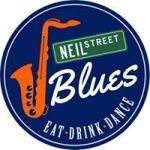 Neil St. Blues offers fun, great food, drinks, and live entertainment. Enjoy southern-style cuisine for lunch, dinner, or a night-out Downtown Champaign. Miga is a modern restaurant and bar lounge in Champaign serving American cuisine with Asian flair. The executive chef brings eclectic experiences from a Four Seasons hotel and upscale Korean and French restaurants. RATIO is an interdisciplinary design practice offering services in architecture, historic preservation, interior design, landscape architecture, urban design and planning, and graphic design.